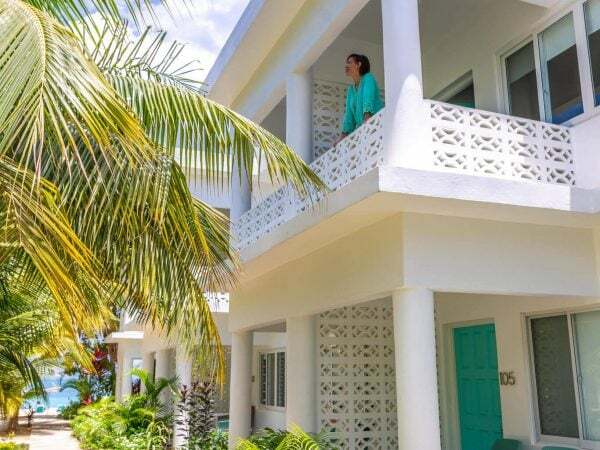 Skylark Negril Beach Resort is ideally situated directly on the white sands and tranquil, crystal-clear waters of Negril’s famed Seven Mile Beach. Prepare to be swept away by our oceanfront views and comfortable, modern lodging, making Skylark one of the best places to rest your head. 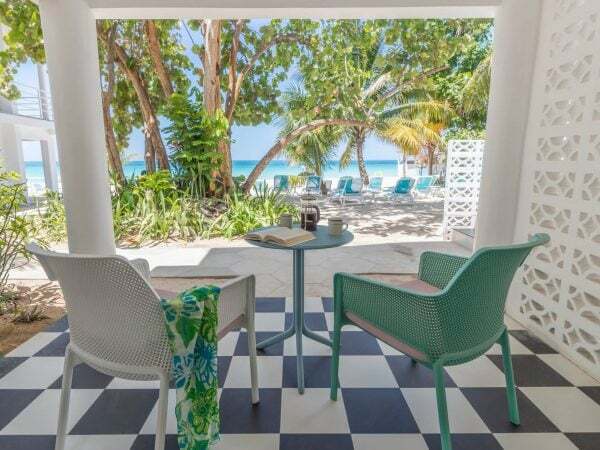 Our twenty-eight room resort evokes a seasoned travelers’ beach pad vibe, recalling the retro glamour and carefree indulgence of the Jamaica’s bohemian beach scene in the 60’s and 70’s. Choose from an array of accommodations that suit your style and needs. Our studio rooms give you a traditional hotel-style experience with modern amenities and décor. The patio and balcony studio rooms kick it up a notch with private, fully furnished balconies or your choice of ground floor patios providing garden or ocean views. Nearly all our rooms at Skylark can comfortably accommodate at least three people (1 king bed and 1 twin bed). 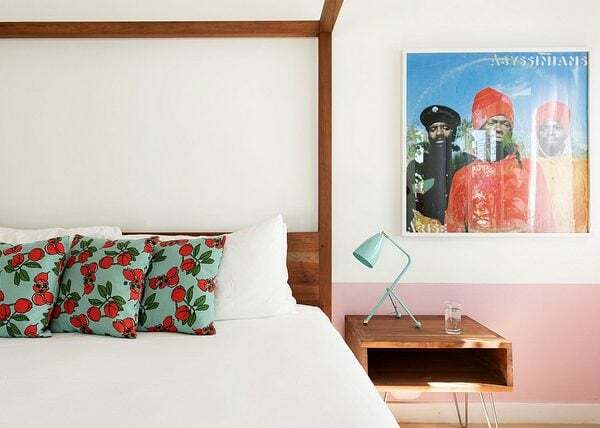 150-sq-ft room (12-sq-meter) located in a modern hotel style block of rooms upstairs on the second floor. Studio rooms are located in a modern hotel style block of rooms upstairs on the second floor.